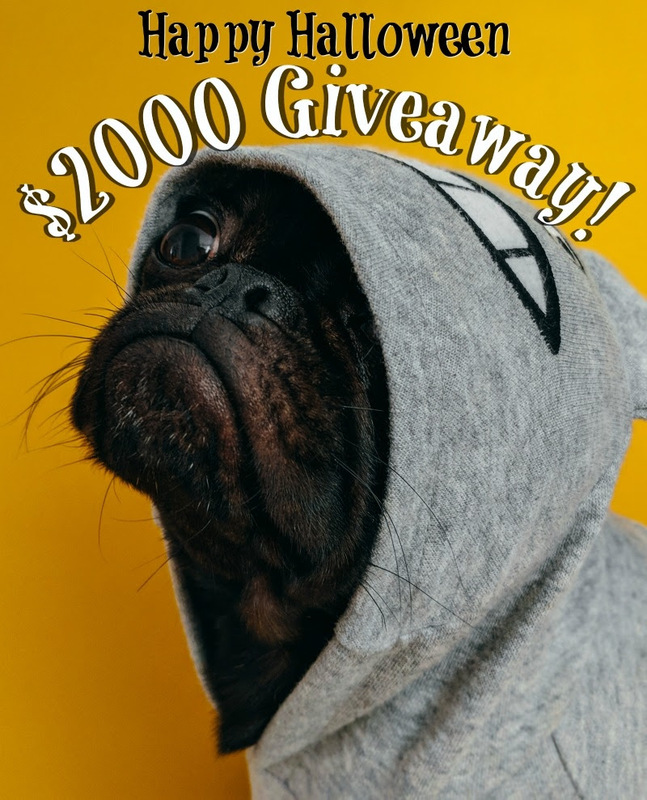 Welcome to the Happy Halloween $2000 Cash Giveaway hosted by Full Lives Reviews. This giveaway is open Worldwide. There will be (4) Winners who will each receive $500. Winners will be posted at http://fulllivesreviews.com/winners-circle/. Enter using the Rafflecopter form below. Giveaway will open on 9/25/18 @12AM EST and ends on 10/25/18. @11:59 PM EST. There is one mandatory entry with multiple bonus entries. Only the mandatory entry needs to be completed in order to win, however the more bonus entries completed the more chances you have to win. There are daily entries as well. Must be 21 years or older to win. Four (4) winners will win $500 Paypal cash or Amazon GC. Entrants must complete entries and each winning entry will be verified. If selected winner does not complete or verify entry a new winner will be chosen. Winners will be notified no later than 10/28/18. Winner will be emailed and must respond to claim prize within 48 hours via the email they signed into the widget with. If winner doesn't respond within 48 hours a new winner will be chosen. Once winners have claimed prizes they will be announced on the Winner's Circle page and sent to co-hosts. Void where prohibited. This giveaway is hosted by Full Lives Reviews and prize is being distributed by Full Lives Reviews. Chatty Patty's Place is NOT responsible for prize distribution. I know this is a Halloween giveaway but I sure could use this for Christmas shopping!